One month after the last update we present you another one. 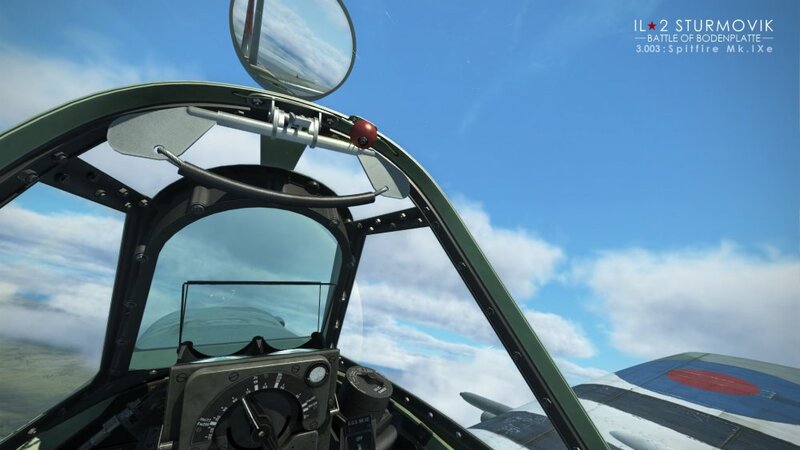 The new update 3.003 starts the Bodenplatte Early Access program - if you pre-purchased it, you can fly the first aircraft from its plane set right now. At this early stage, only two planes are available - Bf 109 G-14 and Supermarine Spitfire Mk.IXe (with old pilot models since new, late war ones, aren't ready yet). 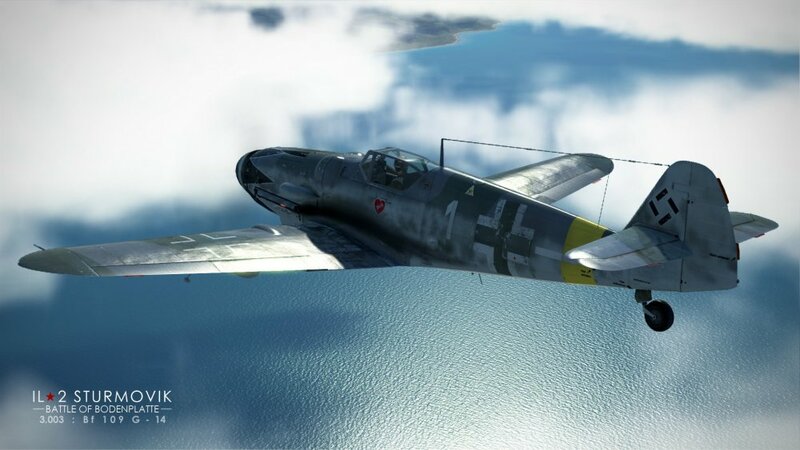 Bf 109 G-14 is the last fighter model from 109 'G' lineup. This model has the completely new canopy with the increased field of view 'Erla', transparent armored glass headrest and the increased rudder surface. The more advanced DB-605AM engine is equipped with the automatic water-methanol mixture injector system that engages at maximum throttle, allowing for increased intake pressure and engine power as the result. The running time at maximum throttle has been increased to 10 minutes with less engine overheat and required radiators opening. 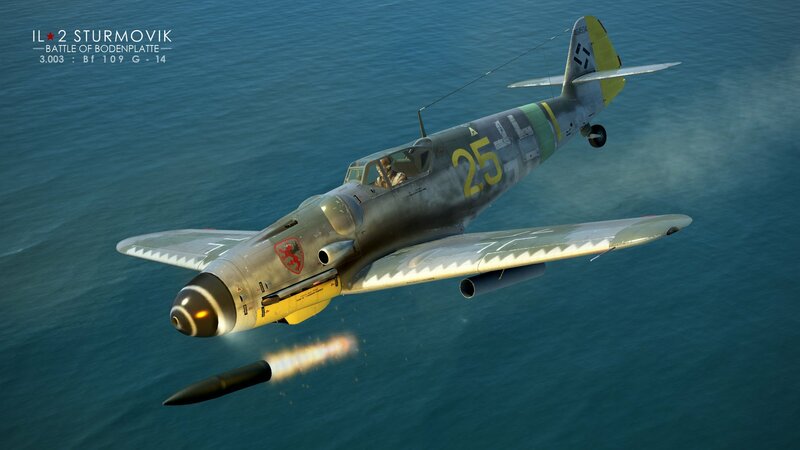 The aircraft armament is similar to Bf 109 G-6, but it can carry heavy unguided rockets 21cm WGR-21 (9.5 kg of explosives and up to 30 kg of fragments in each rocket). 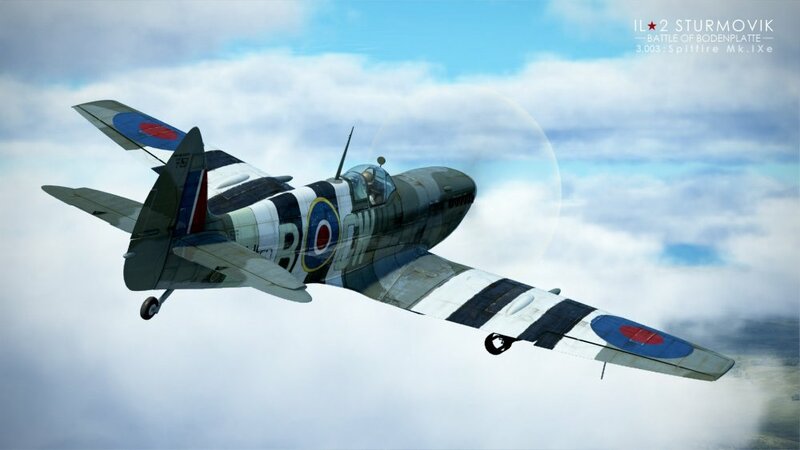 Supermarine Spitfire Mk.IXe is the most well-known and widespread model of the legendary WWII British fighter. 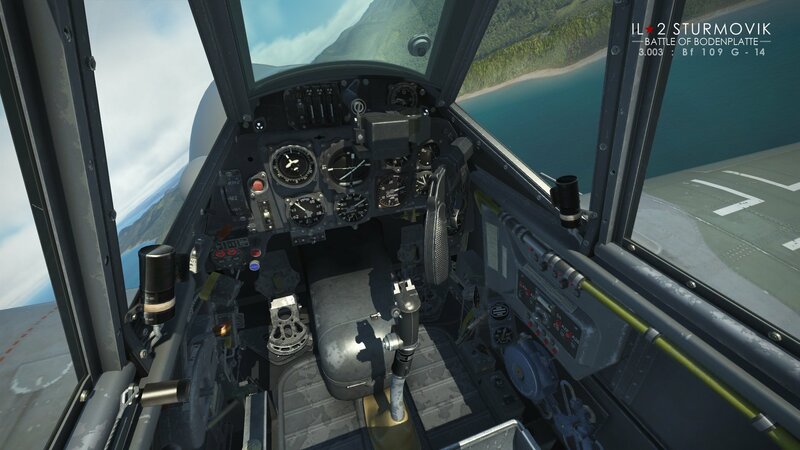 Thanks to the number of selectable modifications we have implemented, you're effectively getting four aircraft, not one. 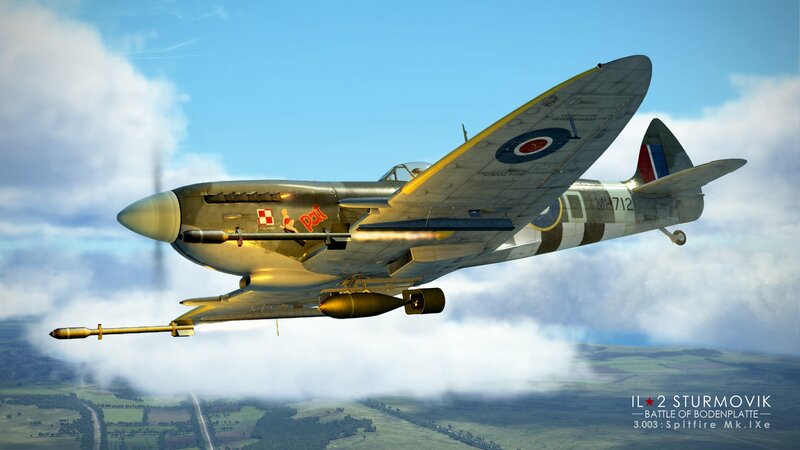 By selecting certain modifications, you can have Spitfire LF Mk.IXe (with the Merlin-66 engine for lower altitudes) or Spitfire HF Mk.IXe (with the Merlin-70 engine for higher altitudes) or their modifications with clipped wings. 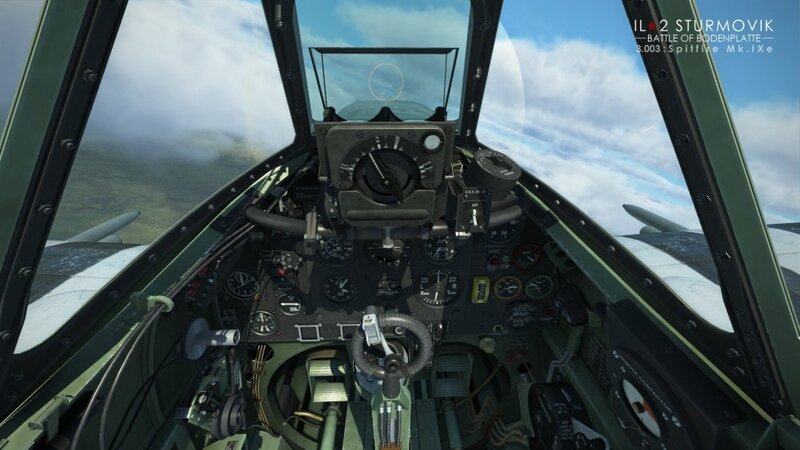 In addition, you can select either the standard Mk.II gunsight or the advanced gyro gunsight G.G.S. Mk.IID that automatically shows the correct target lead provided you have the target base and distance set! Also, unlike the lend-lease Spitfire Mk.Vb, this model is equipped with rockets and bombs. The gyro gunsight is an advanced device capable of automatically calculating and correcting the lead angle for firing at a moving target. 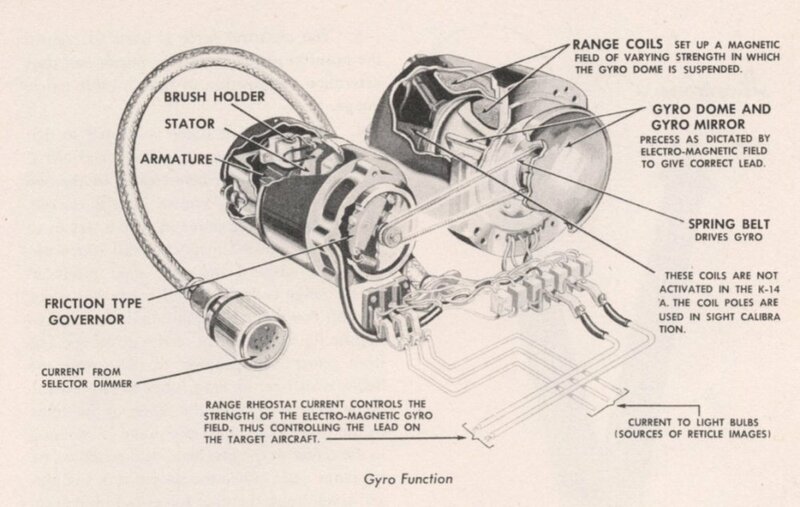 The attempts of building such a device begun even before the war in Great Britain and Germany, but first gyro gunsights appeared only in 1941. It is taken for granted that airspeeds of the own and target aircraft are nearly the same or close enough, so the required lead angle is in direct ratio to the angular speed of the target. 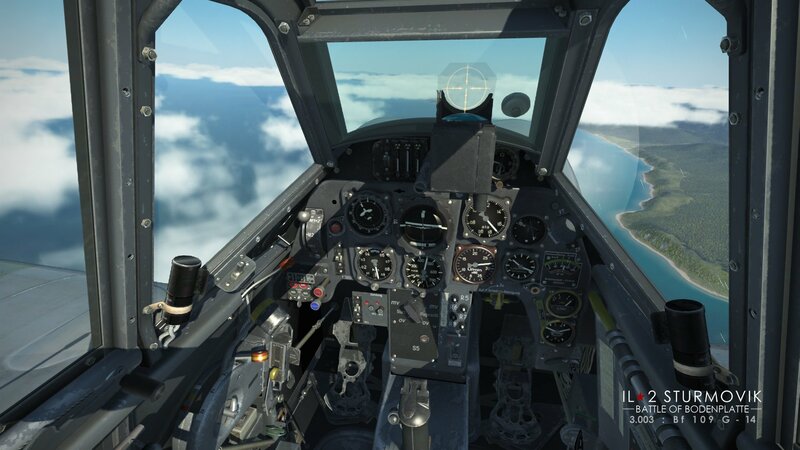 Therefore, to calculate the target lead angle, three values are required at any moment: distance to the target, projectile flight time and the angular speed of the own aircraft. The pilot set the distance to target himself, therefore the simple optical rangefinder was part of the gunsight - adjusting the distance knob changed the size of the moving circular reticle. If the target base (its wingspan) is set correctly using another knob, then adjusting the circular reticle to be the same size as the visible (angular) target size effectively sets the target distance. The time required for a projectile to travel the required distance has been set in the internal structure of the gunsight parts themselves and couldn't be changed. The angular speed of the own aircraft is the same as the angular speed of the gunsight itself. But how to calculate the correct angular target lead using these values? There were no computers in the modern sense of this word at that time, so a really complex optomechanical system has been invented. It included the round mirror attached to the gyroscope with three degrees of freedom. 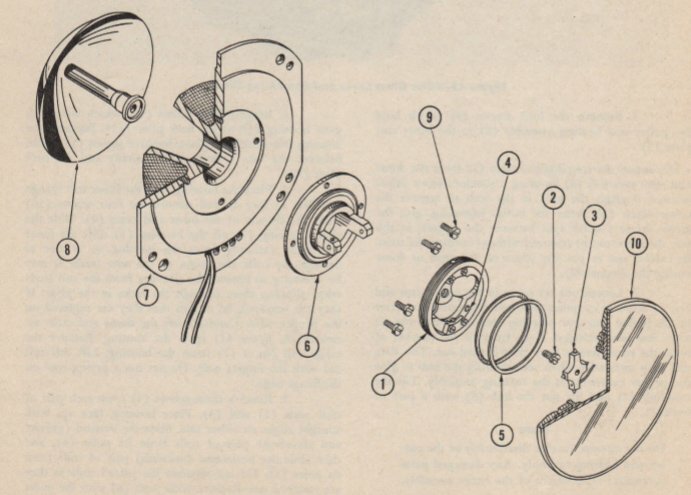 The rotor of the gyro has been rotating in the magnetic field created by inductance coils (Picture 2). The current in the coils has been adjusted according to the set target distance so the resulting deviation from the aircraft axial line during a banking turn projected the targeting reticle to a correct lead angle. There were four operating modes: fixed reticle, gyro and fixed reticles, gyro reticle and night mode. In the night mode, the target lead is calculated for the fixed distance of 150 yards, ignoring the distance input from the user (but the optical rangefinder in this mode is still functional). According to the historical data, an average hit accuracy with this gyro gunsight G.G.S. Mk. IID was more than two times better than with regular collimator gunsights on the same aircraft. The main principles used in this gunsight were used in the development of new gunsights and targeting equipment all the way to 1970s. Having analyzed the level of complexity and unpredictability of the internal processes of this device (many parts of the gunsight are actually crosslinked and serve more than one purpose) I have decided to model the entire system 'as is' without significant simplifications. Therefore, the behavior of the lead indicator in the sim is close to the real gunsight as it is possible. 7. Two units that were AI-only are joinable now: 15. (span)/JG 27 (BOM) and 13.(slow. )/JG 52 (BOK). In addition, two new pilot biographies were added. Big thanks to the community enthusiasts who wrote the texts! 17. Wrong world scale in Windows Mixed Reality devices such as Samsung Odyssey caused by the doubled reported IPD value should be fixed now.